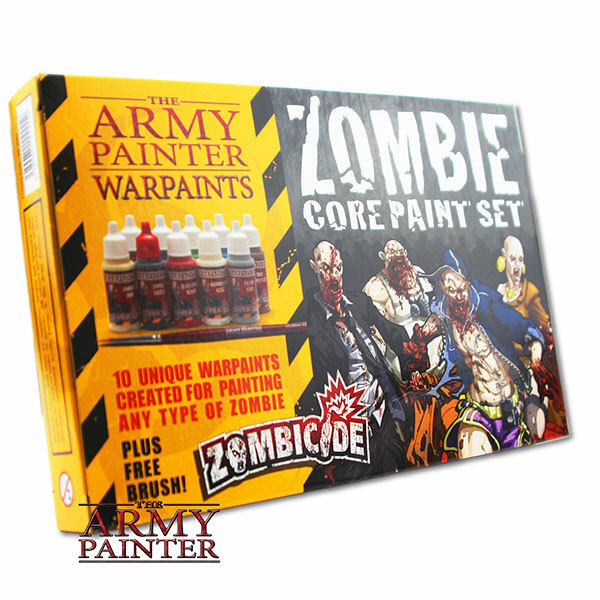 Produktinformationen "Warpaints Zombicide Core Zombie Set"
This is the ultimate paint set for ANY type of zombie. It includes carefully researched colour tones to reflect the human anatomy in a decomposed state. With colours like “Brainmatter Beige” and Crusted Sore” and worse, The Army Painter team has had a nasty job researching the right tones. We researched these – so you don’t have to! 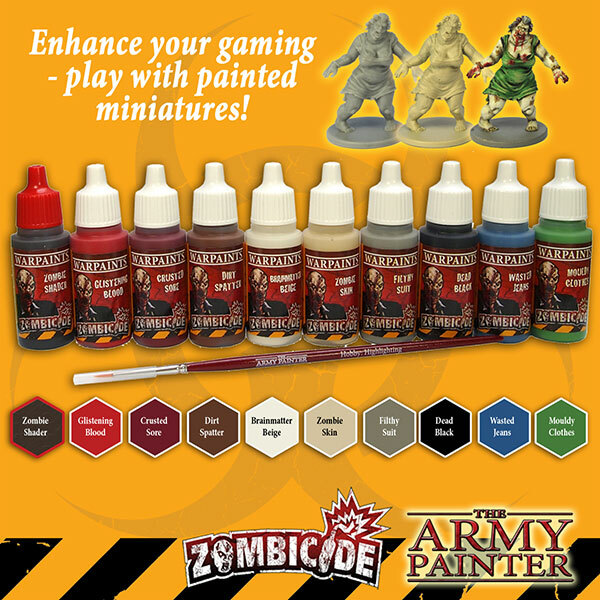 Weiterführende Links zu "Warpaints Zombicide Core Zombie Set"
Kundenbewertungen für "Warpaints Zombicide Core Zombie Set"